Starting a business in any provided field is a process that is fraught with many risks. For the start-up company with products, these risks are subject to being compounded with the ability to meet the complexity of development of products that are able to meet the needs of the market in a timely manner. This has seen many more companies turning over parts of their business operations to outside experts. This process allows the owners to focus more on the critical needs and strategies for improving growth. Start-up processes of manufacturing equipment go through very delicate periods in which these companies must find the best possible way of successfully creating and delivering the products to the market. This content is going to analyze how acquiring the printed circuit boards from independent distributors may be beneficial to companies that don’t have the internal resources. Most manufacturers undergo challenges of trying to ensure the new products successfully enter the market upon its completion. Electronic devices are particularly the most challenging and complex products when creating, and without having the right level of expertise, one may end up wasting valuable resources like time and money. Designing a printed circuit board from scratch is a process that requires a maximum level of expertise and resources. The process also requires maximum design experience and the developed process control, hence justifying the reasons why start-ups and other established companies decide to outsource their electronic design services from an external electronic design service companies. Start-ups get many other benefits from outsourcing their printed circuit boards. Outsourcing printed circuit boards and other electronic design services lowers the development costs for start-up business. This is because starting the electronic design process right from the scratch can be more expensive because of capital equipment expenditures. However, when a company decides to work along with an external custom electronic design team that has the required experience and tools, there is the probability of finding the initial operational costs lowering significantly. This is because the experienced teams have some established workflows and many cost-saving tools already built for their services, thus making them the lowest-cost solutions for the initial phase of a start-up business. Outsourcing the external electronic design services is beneficial in that it encourages maximum accountability. This is because an experienced and more reputable electronic design team can bring along the critical factor that an internal team is unable to achieve. An internal team may be involved in various conflicting accounting budgets, such as funds to the employees, developmental tool costs, prototyping costs, among others. 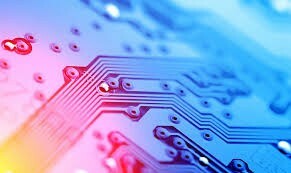 However, contacting an outside firm to provide a printed circuit board or other related electronic equipment will be subject to account for as the direct typing costs to the deliverables. More so, schedules of operations will be under better control procedures as the external design team also participates in accounting for its own time. Another benefit is that it enhances faster time for the products to reach the market. When a start-up company opts for having its own internal team for designing the printed circuit board or any other electronic gadget, the company may face many hurdles that are possible to avoid by outsourcing. Some hurdles may include developing workflows, hiring on the new talent, acquiring and installation of the design software and hardware. These hurdles in the end consume more time and money. Outsourcing may be helpful at skipping these hurdles and going directly into the phases of design with lower upfront costs, hence speeding up the process of delivering the final product to the market. Outsourcing may also be useful to the company as it may have fewer full-time employees. When the start-up specializes on outsourcing the electronic designs such as a printed circuit board, then the company will not require hiring as many full-time employees to complete the production process. Outsourcing gives the business more flexible methods to participate in areas of specialization, and still end up delivering quality products to the market. More so, specialization during the manufacturing process enhances maximum productivity, as employees are aware of their specific roles in the operation. Outsourcing for the external electronic design services has many advantages for the start-up company, rather than conducting all operations internally. This process has proven positive outcomes to all ends, thus recommendable for any start-up business that wishes to ensure smooth, faster, less costly, and quality operations. So many good reasons to outsource your printed circuit board design and sourcing. PCB Solutions can handle all of these and so many more.